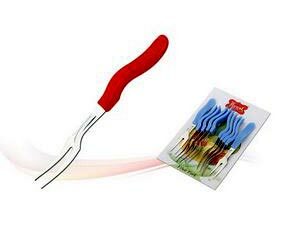 Due to a vast experience and profound knowledge, we have emerged as a giant Manufacturers, Suppliers, and Exporters of Fruit Forks. Our entity is based in Gujarat, India. These are sourced from the finest quality materials and latest techniques. 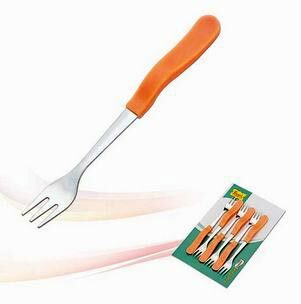 Our offered Fruit Forks are completely in accordance with the predefined industrial standards and norms. 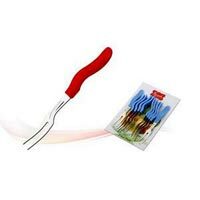 These are profusely demanded by numerous hotels, restaurants, and kitchenware dealers. 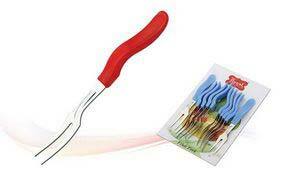 We offer 2 pointed and 3 pointed Fruit Forks in various colours, as per the requirements of the client.